Global steel giant ArcelorMittal has made an offer of Rs 4,800 crore for Essar Power’s 1,200 Mw project at Mahan in Madhya Pradesh, according to Power Finance Corporation (PFC). Government-owned PFC is one of the lenders to the project, part of its portfolio of stressed assets. It is seeking a one-time settlement. The Arcelor offer, it says, is higher than Essar Power’s settlement offer of Rs 3,500 crore. “The lenders will meet to consider the ArcelorMittal offer, which works out to Rs 4 crore a Mw,” said Rajeev Sharma, chairman and managing director of PFC. The officials concerned at both Essar Power and ArcelorMittal declined to comment on queries from this publication. This would be the second time ArcelorMittal and the Essar group will find themselves competing for the latter’s asset. Arcelor had earlier bid for Essar Steel. PFC hopes to resolve around 30 per cent of its stressed asset portfolios outside National Company Law Tribunal (NCLT) proceedings. Sharma said there were six to seven projects in this regard and these would be resolved, within the 52 per cent (stressed) loan provisioning already done by the company. It will look for buyer interest from both private power producers and state-run utilities for such stressed assets. “Adani, Sterlite, ArcelorMittal, and some state power utilities are interested, such as Maharashtra's GENCO, Haryana and Gujarat utilities, to buy the stressed assets,” Sharma said, when asked if there were enough buyers for these. Attempts by NTPC, the country’s largest power producer, to buy financially distressed private power assets had hit a hurdle for various reasons. Industry sources said the basic reason was reluctance by a state entity to invest in a private power project. Sharma, however, is confident that this will not be a concern. “NHPC got one Lanco Hydro power project from NCLT,” he said. For GVK Power and Infrastructure’s Ratle hydro power project in Jammu & Kashmir, PFC is now seeing better servicing of the loan. 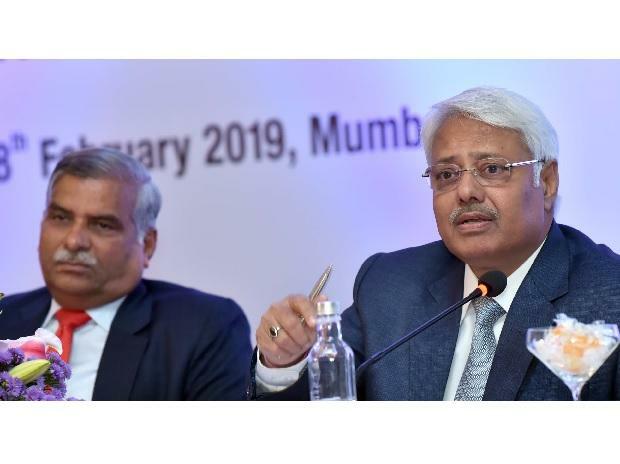 “The borrower has been servicing regularly for the last 11n months and this asset will be upgraded from non-performing to standard in the next quarter, and a reversal of Rs 600 crore of provisioning in this connection will be made,” Sharma said.